HomeSinas Dramis Law Firm BlogMichigan Catastrophic Claims Fee: Where Does Your Money Go? Michigan Catastrophic Claims Fee: Where Does Your Money Go? If you have no-fault insurance, you currently pay an annual $170 Michigan catastrophic claims fee for each vehicle that you insure. The payment is in addition to your auto insurance premium. Where does the money go? It goes into a statewide fund that’s managed by the Michigan Catastrophic Claims Association (MCCA). The association sets the yearly fee and uses the money to reimburse insurance companies for no-fault benefits paid to those who are the most seriously injured in a Michigan car accident. The Michigan Catastrophic Claims Association fee usually changes every year. In fact, on July 1, 2017, the assessment increased by $10 to the current $170 per insured vehicle. A few years ago, the fee reached its highest level ever, at $186 per vehicle. In years past, it has been as little as $3 per vehicle. The Michigan Catastrophic Claims Association is a public body established by the state Legislature in 1978 through an amendment to the Michigan No-Fault Act. It is intended to be a fund that reimburses insurers for severe injury claims that exceed a certain dollar amount. This dollar figure changes from time to time. Currently, the amount that a no-fault insurer must reach to get personal injury protection (PIP) benefits reimbursed is $555,000. Once an insurer hits this level in payments, the Michigan catastrophic claims fund reimburses it for the ongoing expenses — and continues to pay as long as the accident victim is alive. Right now, the Michigan Catastrophic Claims Association has more than $18 billion in assets to pay back insurers for benefit payments over $555,000. In this video, Grand Rapids car accident attorney Tom Sinas discusses catastrophic injury claims and the MCCA annual assessment. However, there is a catch when it comes to the Michigan Catastrophic Claims Association. Although it is considered a public body, the MCCA rate-making process has not been fully disclosed. In other words, the public hasn’t been told exactly how the catastrophic claims fund operates or how its annual assessment is calculated. For this reason, a few years ago the Coalition Protecting Auto No-Fault (CPAN) submitted a Freedom of Information Act (FOIA) request to the MCCA, asking it to provide details on how it sets the yearly fee, among other things. The MCCA denied the request. That’s when the Coalition Protecting Auto No-Fault and others took legal action. In that lawsuit, an Ingham County trial judge ruled the Michigan Catastrophic Claims Association had to provide the requested information. The judge reasoned that no-fault policyholders have a right to know how their insurance rates are calculated, to help ensure that auto insurance is provided to Michigan consumers on a fair and equitable basis. However, the trial judge’s ruling in the MCCA transparency case was overturned by the Michigan Court of Appeals. 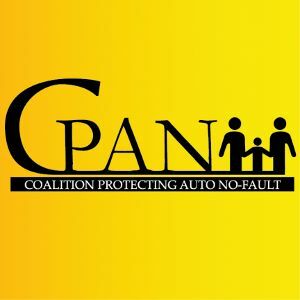 According to the Michigan Court of Appeals decision in Coalition Protecting Auto No-Fault v Michigan Catastrophic Claims Association, while the association is indeed a public body, its records are exempt from public disclosure. That ruling was appealed and, in May 2017, the Michigan Supreme Court declined to hear the case, letting the Court of Appeals decision stand. So what does this mean for Michigan consumers, who are required to have no-fault insurance to legally operate their vehicles? Basically, it means this: you pay a mandatory fee for catastrophic claims but you are not entitled to know the details of how the Michigan Catastrophic Claims Association sets that fee or the details of its finances. Senate Bill 240 and Senate Bill 241 — would require the Michigan Catastrophic Claims Association to abide by the Open Meetings Act and FOIA laws. House Bill 4354 — in addition to subjecting the MCCA to the Open Meetings Act and FOIA laws, it would require the Michigan Insurance Commissioner to appoint a public member to the MCCA Board of Directors, and would also give the Commissioner the authority to disapprove any Michigan catastrophic claims fee that’s deemed excessive. Stay with the Sinas Dramis Blog for updates on the Michigan catastrophic claims fee and the legislative efforts to make the fund more transparent and accountable. If you’ve been injured in a Michigan car accident, including an accident with a semi-truck, our attorneys can be sure you get the compensation that you deserve. Contact our Grand Rapids personal injury attorneys or Lansing car accident lawyers today.